In the newly opened South Wing building, it has a dedicated operating theater that speeds up the scheduling of surgical cases. As the unit with the largest number of patients at the AMOSUP Seamen’s Hospital, the Eyes, Ears, Nose and Throat (EENT)/Ophthalmology Department has adopted a strategy to cope with increasing clients from union members and their dependents. The strategy of providing for more consultants whose availability is arranged on decking system now enables the department to cover a weekly schedule. Consisting three ophthalmologists and four ENT specialists, the department can attend to all referred patients and emergency cases. The department has seen an average of 60 patients monthly in the out-patient clinic and a total of 1,003 admissions in 2017. 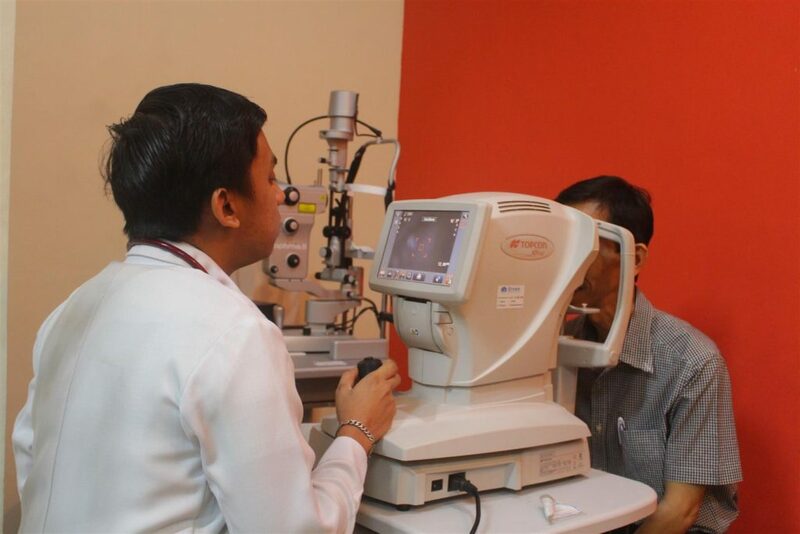 Thanks to the management for its untiring support especially in equipment modernization, it now possesses different top of the line diagnostic equipment that it can be considered already as an eye centre on a par with other major hospitals in the country. In the newly opened South Wing building, it has a dedicated operating theater that speeds up the scheduling of ENT surgical cases. From the inception of the Family Medical and Dental Plan (FMDP) of AMOSUP, the EENT Department was one of the services established by the Union for the medical needs of its members and dependents. When the clinic was transferred to Intramuros, Manila and became a hospital that provides tertiary care, the ENT service had become more vital in the hospital operation. The department provides diagnostic procedures that are essential in the management of patient, regardless of age and gender. It is one of the primary reasons why the department continuously embarks with the modernisation of equipment and staff training. 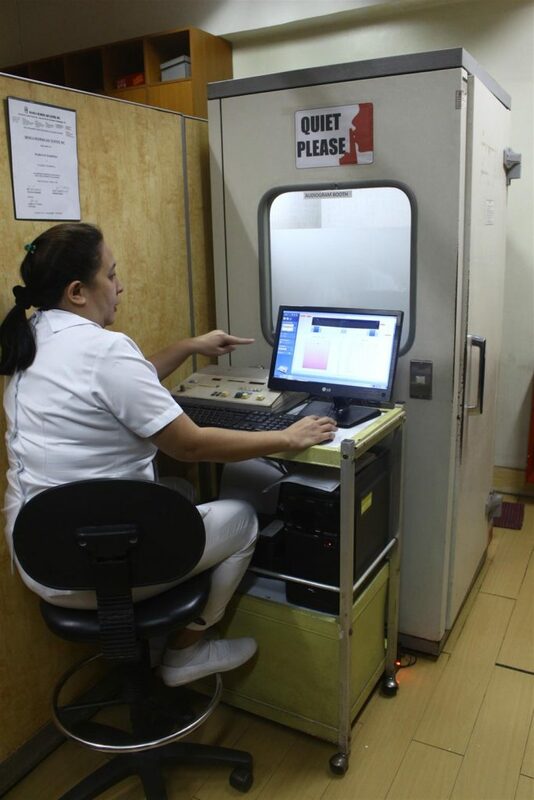 The hospital also offers medical examination for seafarers prior to embarkation wherein the hearing and visual acuity tests are among the basic examinations required in obtaining a fitness clearance. It should be recalled that EENT evolved as a small out-patient clinic in the Manila port area in the 60s and eventually transferred to Intramuros. However, adapting to changes such as technology and increase of patients has become inevitable. The primary objective of the department is aligned with the hospital’s mission of providing the best available quality healthcare to AMOSUP members and their dependents. To sustain its objective, given the availability of the state-of-the-art equipment and staffing complement, it would be nice if there is a bigger space to accommodate the equipment and patients as well. 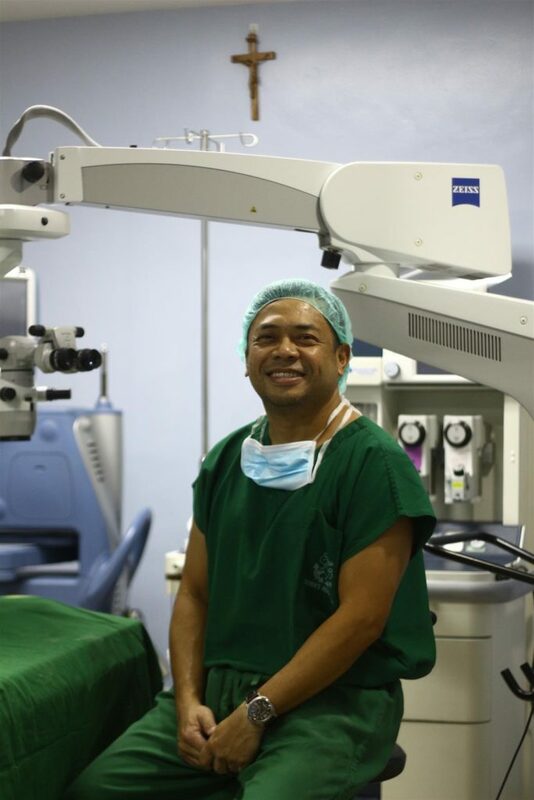 Led by department chairman, who is an ophthalmologist/retina specialist, Dr George C Pile, its consultants and specialists include: EENT specialists Dr Victorina A Baladiang, Dr Gavino M Gaerlan, Dr. Roudel C Rebong, and Dr John Anthony B Samonte. In the Opthalmology unit, they are Dr. Ramon Mario R Ongsiako, ophthalmologist with oculoplastic subspecialty; Dr. Anne Marie S Macasaet, ophthalmologist/glaucoma specialist; Dr Franklin C Ang, otolaryngologist-head & neck surgeon; Dr. Ramon Juan H. Ongsiako, otolaryngologist-maxillofacial surgeon; Dr Dennis Eusebio A Baldiang, otolaryngologist-head & neck surgeon; and Dr Dominador Gomez, otolaryngologist- head & neck surgeon. As the fourth busiest in the out-patient clinic, the Department handles approximately 1,200 patients a month or an average of 50 patients per day. The Department of ENT-HNS of the Seamen’s Hospital provides union members and their dependents with comprehensive diagnosis and management of diseases of the ears, nose and throat, and of the head and neck. This includes management of common ENT problems, surgery for benign and malignant neoplasms, facial plastic and reconstructive surgery, craniomaxillofacial trauma, screening and treatment for congenital disorders of the head and neck, diagnostic and surgical endoscopy services, speech and swallowing evaluation, audiologic diagnostic procedures, as well as day (out-patient basis) surgeries. The Department also serves as a tertiary referral centre for other AMOSUP Seamen’s Hospitals in the entire archipelago. The Department has an adequate number of otolaryngologists to man the out-patient clinic. At present, the available time for consulting at the OPD are filled-up with these specialists. The Out-Patient clinic may benefit from a modernisation project, focusing on improving the clinic area and upgrading of the diagnostic and therapeutic equipment. The staff cope with the increasing number of patient load by diligently manning the clinic and on occasion, extending their length of stay to accommodate the daily influx of patients. Plans to renovate the out-patient clinic to make it more conducive and patient-friendly are being considered. Upgrading the out-patient clinic and operating room equipment will not only broaden the scope of the services being offered, but will also improve the efficiency of patient care. EENT-HNS doctors are more than competent to provide the latest standard of care in medical and surgical services to our patients. However, some of the equipment are already dated and there is plenty of room for improvement in this aspect. Although some of the out-patient clinic and surgical equipment are outmoded, it remains to be in excellent working condition due to its superior quality. The Department handles approximately 1,200 patients a month or an average of 50 patients per day. The Department is the fourth busiest section in the Out-Patient Clinic for the year 2017. The Department is composed of Board-Certified specialists and are Fellows of the Philippine Society of Otolaryngology-Head and Neck Surgery: Franklin C. Ang, MD, MBA, FPSOHNS (Section Head); Ramon Juan H. Ongsiako, MD, FPSOHNS; Dennis Eusebio A. Baladiang, MD, FPSOHNS, Dominador Enrique E. Gomez, MD, FPSOHNS. ENT Treatment Unit. The treatment unit is the workhorse of the otolaryngologist in the out-patient clinic. It has a suction and irrigation system, compressed air system for various atomizers, and instrument storage while maintaining an ergonomic workstation. The small footprint of the treatment unit also maximizes the use of space in the out-patient clinic, making it more conducive for patient care. Operating Microscope. The operating microscope provides the otolaryngologist with a clear and precise field of vision for otologic and laryngeal procedures. The equipment also gives fine focus and illumination in both routine diagnosis and in the operating room setting. Rigid Fiberoptic Nasal & Laryngeal Endoscopes and Flexible Fiberoptic Nasopharyngolaryngoscope. The fiberoptic endoscope system is a valuable tool in the diagnosis and treatment of diseases of the upper aerodigestive tract. It provides the physician with direct visualisation of the disease process and is complementary with that of imaging techniques. The system gives the surgeon access to hard to reach recesses of the body while making the procedures minimally invasive and with relatively minor discomfort. Otoacoustic Emission Machine. The OAE Machine is the instrument of choice for hearing screening in the newborn. It measures the organ of hearing by providing stimulus via an earpiece and then measures the reflected sound waves coming from the inner ear. This procedure is performed prior to sending the newborn home and is a fast and convenient way to evaluate congenital hearing loss.